This entry was posted on 06/22/2012 by KE. 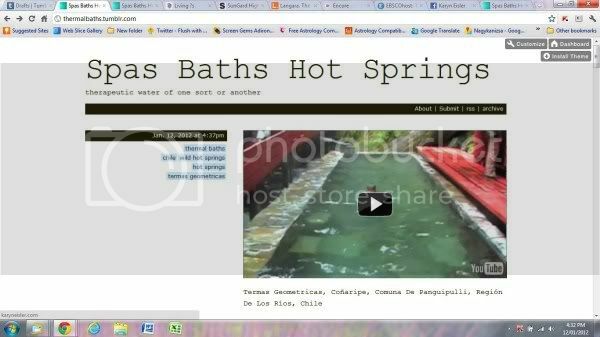 It was filed under Water-Spas and was tagged with Hévíz, Hot Springs, Hungary, Karyn Eisler, Nature, Photography, Spa, Spa Culture, Spas, Thermal Baths, Thermal Water, Travel, Water. Love the way you framed this image! Thank-you, Rose! Those people are standing in thermal water, beside underwater massage-jet stations. Each station consists of a strong force of water that targets a different part of the body. As you move along, each jet hits a higher spot. The first jet hits the calves. The final jet, the neck. Not exactly sure of the timing before the bell rings … a few minutes, at least, at each station. Don’t recall how many stations in total — between 6 and 8, I think.